ONLINE ENTRIES WILL BE OPEN UNTIL MIDNIGHT THURSDAY DEC 21 TO MAKE ANY CHANGES-NO SWITCHES DAY OF. You are invited to the Seventh Annual North Shore H.S. 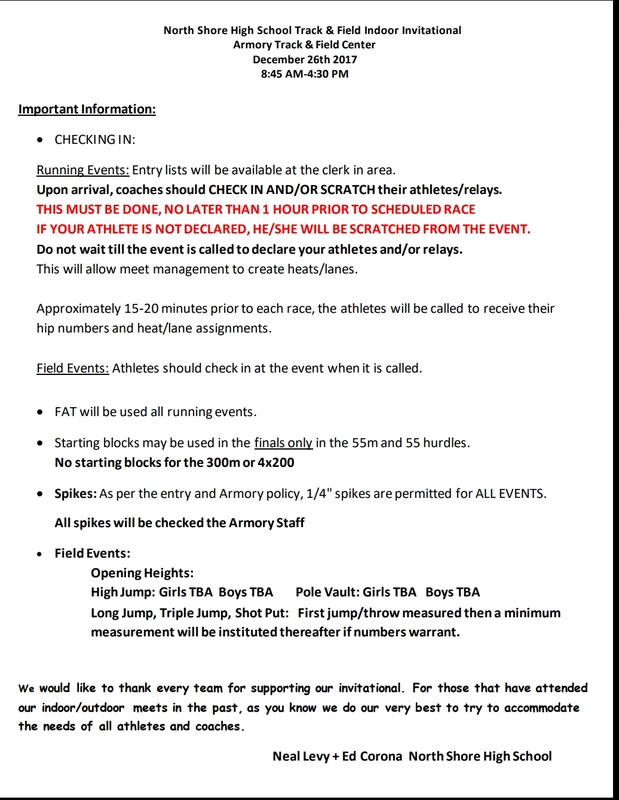 Indoor Invitational meet on TUESDAY December 26th 2017 to be held at the Armory Track and Field Center in NYC. 1. NON New York State Schools must declare their intention to participate by DECEMBER 5th or cannot participate. 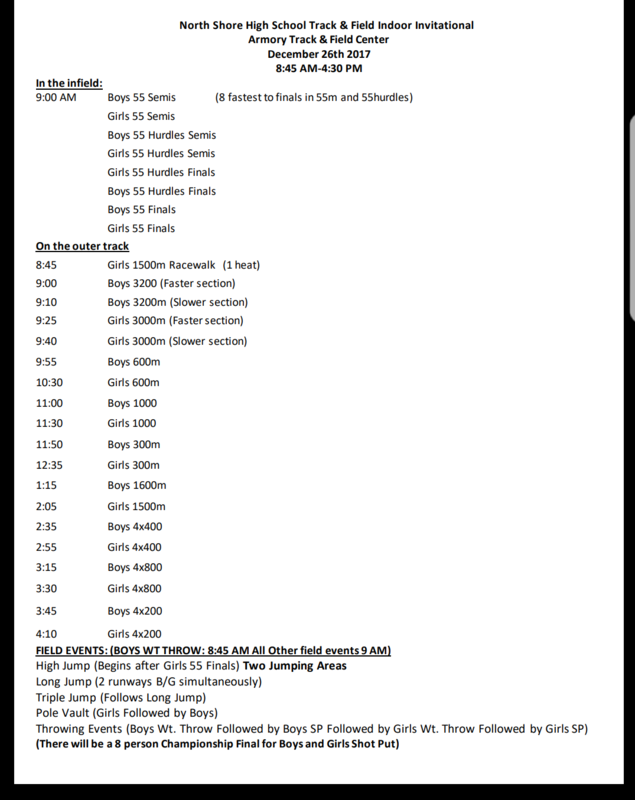 "School, City/Town, State, intends on participating in the North Shore HS Track and Field Invitational on December 26th 2017 at the Armory Track and Field Center in New York City"
All athletes can use 1/4" spikes (Pyramid or Christmas tree)for all events.